The Department of Energy estimates that compressed air systems in the U.S. consume about 30 trillion Watt-hours of energy per year. Of all the energy used in manufacturing, compressed air systems have the greatest potential return for implementing energy efficiency practices, according to the DOE. One approach to access some of that return is to eliminate waste by producing compressed air efficiently and only in the amount demanded. Another approach is to leverage compressed air system data to assess the impact of any system changes on energy consumption and productivity. Atlas Copco Compressors offers new solutions that employ both of these approaches. This article examines the new GA 7-37 VSD+ air compressors and SMARTLink data monitoring system, and includes application insights from two independent distributors of Atlas Copco compressors. Atlas Copco recently announce their new line of GA 7-37 VSD+ air compressors offer reduced noise levels of 62 to 64 dB(A) depending on model, 20% lower Specific Energy Requirements (SER), a 12% increase in Free Air Delivery (FAD), and up to 55% reduction in footprint compared to previous GA models. This new line of air compressors comes in sizes from 10 to 50 horsepower, each equipped with the Elektronikon Mk5 controller and SMARTLink data logging system. The line is offered in variable speed drive only. How were these improvements achieved? An air compressor has many subsystems- but one of the main subsystems is the motor and how it’s connected to the air end that compresses air. Virtually all air compressor manufacturers purchase motors from the major international suppliers. Atlas Copco has taken an important step and designed in-house their own interior permanent magnet (iPM) motor, which significantly exceeds the minimum IE4 standard for Premium Efficiency, the highest standard for motor efficiency in the U.S. The iPM motor is directly coupled to their airend (they call it an element). Both of these components were designed in-house by Atlas Copco specifically for the new GA VSD+ compressor and both have patents pending. The direct drive iPM motor is oil-cooled and pressure-tight, with no gears or belts and no shaft seal. Oil cooling the motor warms the lubricating oil before it reaches the compressor element, helping prevent condensation under low load conditions. Freeing up floor space is beneficial in practically any industrial setting, and the vertical orientation of the GA VSD+ cabinet requires less than half the floor space of like-sized compressors. The vertical configuration allows the compressors to be installed close to a wall or in corners with all maintenance parts easy accessible. These compressors are also available as “full feature” units including the latest generation refrigerant dryer built in. Full feature units increase the footprint slightly. The canopy is designed with two internal compartments to separate components that generate heat from those that require cooling. Cooling is facilitated by a new fan design. This quiet fan cycles automatically depending on heat load and is turned by a new, high efficiency, ERP2015-compliant fan motor that achieves additional SER savings of up to 7% of compressor power. This contributes to the low dba sound attenuation ratings. Excellent turndown capacity, as low as 18%, is enabled by VSD+ technology. This eliminates wasted idling and blow-off losses during operation, and minimizes system leakage by means of lower system pressure. The compressor can start or stop under full system pressure without the need to unload, which helps eliminates peak current penalties during start-up. This is our 34th year with Atlas Copco as a primary distributor and it’s their 141st year in business. Lots of compressor companies focus on very large compressors, but Atlas Copco is also committed to energy efficiency at the smaller end of its product line. They are committed to sustainable productivity by their actions. Two things stand out about the GA VSD+ compressors: they are providing energy savings, up to 50% for the user, and they are extremely reliable. I see the claims Atlas Copco is making in the marketplace being realized by our customers. It could be a small industrial manufacturing company, a food or beverage processor, plastic tool and die shop, or a paint and body shop. These folks need to manage a better and more profitable business to stay competitive. One way we’re helping them do that is with a much more efficient air compressor. We’re helping small to medium size factories save major dollars and capture very large rebate checks from their power utility. business to stay competitive. One way we’re helping them do that is with a much more efficient air compressor. We’re helping small to medium size factories save major dollars and capture very large rebate checks from their power utility. One of Air Technologies’ customers, a leading plastics packaging converter, was expanding to a second location. It was an open space warehouse where a 50 horsepower skid-mounted air compressor was already in place. The unit was more than twice as large as required for current or future needs and produced excessive noise. Our experts determined that Atlas Copco’s 15 horsepower GA 11 VSD+ compressor would address the customer’s requirements for low noise level, small footprint and zero idling time. The interior permanent magnet motor and variable speed drive are providing energy savings that will pay for the new compressor in less than 18 months. Another customer, a small food manufacturer, was using a reciprocating air compressor that was so noisy they kept it inside a shed behind the production building. They wanted to bring the unit indoors during the winter to keep it from freezing, but space was limited and it would be too loud to work around. Our solution was a GA 7 VSD+ with a 62 dB(A) noise level. It’s so quiet that workers can conduct a normal conversation while standing next to the unit. With a rebate on top of energy savings, it was an easy decision for the customer. We have several customers connected with SMARTLink, too. It’s only the first year or so but we’re finding that it helps them understand compressor maintenance and warns them before there is a shutdown. It helps us to manage a customer site more effectively. SMARTLink ships standard with most Atlas Copco rotary screw air compressors. In most production settings, servicing a compressor is largely reactive: an unforeseen event triggers an immediate need for a service technician. Even when compressors run reliably, they rarely run at the same level around the clock, so it can be difficult to know exactly when any given compressor is due for maintenance that can prevent such reactive measures. If maintenance activities go overdue—and production demands have a way of taking priority over downtime for system maintenance—both energy consumption and risk of breakdown increase. Even though compressed air auditing activity has become commonplace, the majority of air compressors have still not been “audited” and demand profiles and energy use is not available to the owners of most units. Even systems that have been audited were data-logged for a one or two-week period only – and one thing we know for sure about compressed air systems is that demand profiles and component performance are always changing. Atlas Copco created the SMARTLink service program to remove these unknowns by making the decision to ship data loggers standard with most of their rotary screw air compressors. The idea is to make it easy for factories to monitor compressors automatically 24/7 – all year. Launched two years ago at the Hannover Messe (Hanover Trade Fair) in Germany, we wanted to see how this innovative service offering was going. SMARTLink is Atlas Copco’s data logging, monitoring and communication system that enables compressed air users to see how much air they are producing, how much energy they are using, how their compressor is performing and when it’s due for service. There are three levels of SMARTLink functionality offered. As with many of today’s technology services, the base level of service is provided to customers at no charge and higher services levels can be accessed for a fee. A free trial period is provided so customers can evaluate the higher level SMARTLink services under operational conditions with no cost or risk. Atlas Copco personnel said that, “forty percent of our clients have signed up for the free trial period to test the service.” The information on how many of these clients continued to use the technology was not available. Reliable operation can be enhanced as this system analyzes air compressor operating data continually, and automatically sends alerts in advance so customers can plan their service interventions. By tracking and analyzing usage and maintenance information, the program gives customers both a quick snapshot and a complete in-depth analysis of their air supply, helping them learn from their activities. The customizable system tracks a wide range of information about compressors in operation to predict potential problems, shows how and where the production can be optimized, and identifies ways that energy can be saved. Real-time compressor performance data can be transmitted to any mobile phone number, email address or computer desktop, so secure access can come from across the plant or across the globe. The system gathers and transmits compressed air system data collected by Atlas Copco MkIV and Mk5 controllers. Data is collected outside of a customer’s firewall and protected by Atlas Copco hardware so no LAN connections are required. The system provides GSM communication (cellular only). 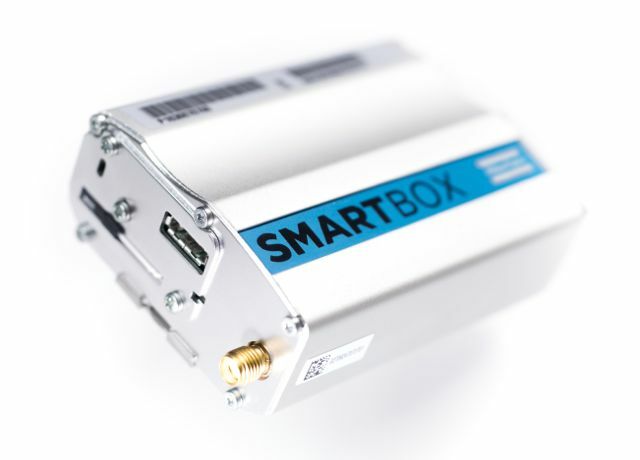 Hardware is comprised of the SMARTLink device, antenna and power supply. New Atlas Copco compressors are SMARTLink enabled from the factory and many Atlas Copco compressors can be retrofitted in the field. To get started, users create an account via the SMARTLink website, enter their SMS/email information, and subscribe to the free monthly service email. Users add machines to their account by name and serial number and the SMARTLink provides a convenient place to record service data to an exportable log. Service data can even be recorded for machines that aren’t connected. We became an Atlas Copco distributor in February 2014 and the quality improvement has been night and day. You can tell by the precision, in how well things fit together. The new GA VSD+ is a great example. The motor is sealed and completely dust proof. There’s no shaft seal to leak and no worry about a coupling element to wear or crack or get misaligned with vibration. We were so impressed with the GA VSD+ that we have a 25 horsepower model that runs light manufacturing for our sister division in St. Louis. It’s designed to run 8,000 hours without changing filters, it stops and starts at pressure, and it almost sounds like a blow dryer it’s so quiet. magnet motor can spin slower and still maintain enough oil flow to lubricate the bearings. That’s a big advantage over other units. Where a traditional compressor has a blow down valve and check down valves, the GA VSD+ doesn’t have to blow off air when it shuts down. And if you’re out of real estate, as a lot of older plants are, the small footprint of the GA VSD+ helps, too. Since June we submitted four rebates through Energy Impact Illinois for $12,000, $17,000, $6,100 and $9,300, each where we replaced a traditional compressor with a GA VSD+ unit. Payback on all of these upgrades was just over a one year. We’re seeing customers have good success with SMARTLink, too. People set up monitoring and an alert system just by signing up through a website. If a compressor has an issue, in about 30 to 45 seconds the customer gets an email or a text alert. They don’t need SCADA or a plant wide system either. You can still plug into an Ethernet if you want to dedicate a line to it, but the GA VSD+ is a smaller platform so they usually go in smaller businesses that may not have the resources or engineering talent on staff to connect it to the network. Now they do it via a website and it’s all automated. SMARTLink is hassle free and already built into the unit. As a technology, compressed air has been around a long time and there’s only so many ways you can do things, but Atlas Copco has a history of innovation with the rotary screw and variable speed drive, and now the GA VSD+ and SMARTLink. They’ve definitely changed things for the better.